Larry "Major Nelson" Hryb is hyping this week's Xbox 360 Ultimate Games sale as being home to some of the greatest games on the console. It's been eight years since the console was released, and now that its lifespan is possibly coming to a close real soon, there has to be something to finish it out on a high note, right? Take a look at the list below and see if there is anything you want to kill the summer doldrums or wrap up your Xbox 360's shelf life with. I'm not sure about these being the best games the console has to offer, but Microsoft could certainly do a lot worse during these boring summer months. Naturally, you can't go wrong with Skyrim. If you haven't played it yet, put your summer vacation plans on hold until you clock in at least 40 hours. Then you are free to go outside. Or, you can continue your RPG shut-in period and pump an equal number of hours into The Witcher 2: Assassin of Kings, and nobody would think any less of you. From there, the Fallout games, Lara Croft and the Guardian of Light, The Walking Dead, Metal Gear Solid V: Ground Zeroes, Portal 2, and DuckTales Remastered are your best bets if you need some time killers during the impending heat waves and hurricane season. Lots of great choices, so be sure to get gaming! I've also been meaning to give Devil May Cry 4 a second chance as I've learned to not take anything from Capcom's pre-2010 Japanese library for granted. 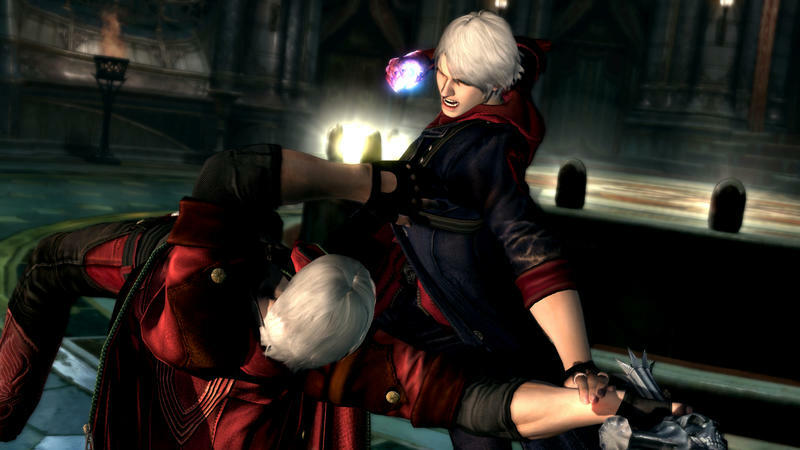 I just can't tell who is more Anakin Skywalker-ish though, the whiny Dante clone Nero or the DmC reboot Dante. If the Xbox 360 isn't your cup of tea anymore, then Microsoft still has Titanfall on sale this week for thirty three percent off the normal price. Any takers?